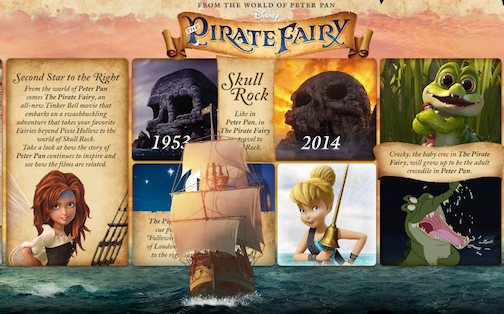 There is a ton of great information coming out about the soon to be released movie: The Pirate Fairy. This is part of the Disney Fairies series of movies based on Tinker Bell and her friends in Pixie Hollow. We have seen every one of these movies to date and are eagerly awaiting this newest installment. What is very exciting this time around is that the overall mythology of Never Land is being explored and we will meet some key characters in the story including Captain Hook. If you click on the image below you will be able to see a fun interactive info-graphic that shows how this movie pays homage to the original Peter Pan movie from 1953. Caution, there may be a few spoilers. There are also two fun featurettes below that delve deeper into the making of The Pirate Fairy, and for Tom Hiddleston fans, he sings in this movie. I even have some photos from the World Premiere held today. click the image below for more information and videos. 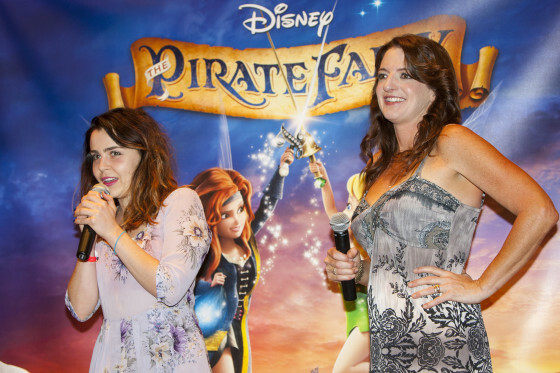 The Pirate Fairy World Premiere!